Each father’s day we celebrate male parental care. But this year – perhaps while getting the old man an appreciative gift -– maybe have a think about why men want to care for their children at all. As opposed to, say, eating them alive. Fatherhood comes so naturally to us that we can easily forget to ask about how and why it might have evolved. In fact, most fathers in the animal kingdom don’t do it. We fall into a rather rare group of species where males provide any care at all. In our primate relatives, for instance, males are not at all doting – with a few exceptions, like male marmosets, who carry babies on their backs. This lightens the load on the female – presumably allowing her to make the male’s babies bigger, or to have more of them. Among mammals, dads rarely contribute to offspring beyond a single sperm – the mother generally nurses offspring alone. Except in Dayak fruit bats, where males have been found lactating (although still contentious). 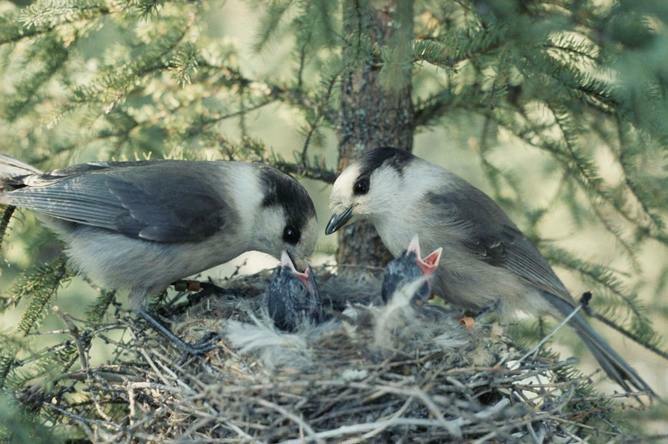 Male and female grey jays feeding chicks. It is in birds that male-female cooperation is most common, probably because feeding chicks and keeping them safe and warm is a two-person job. But in other birds – where newborn chicks can get up and walk for themselves, like chickens and ducks – the male is typically nowhere to be seen. He’s off soliciting new mates. Males will sometimes help females out if they are unlikely to find another mate. Burying beetles breed on fresh mouse carcasses, which are very scarce. Having finally found a carcass, a male will stick around and help the female care because he is unlikely to find another – but he will also keep signalling to attract other females. The resident female is understandably not on board with this, and knocks him over while he’s trying to signal. In many familiar species like gorillas and lions, males that appear to be caring are really mostly concerned about guarding their baby-mamas from rival males; the offspring are kept safe as a byproduct. Yet some amazing examples of biparental care exist. 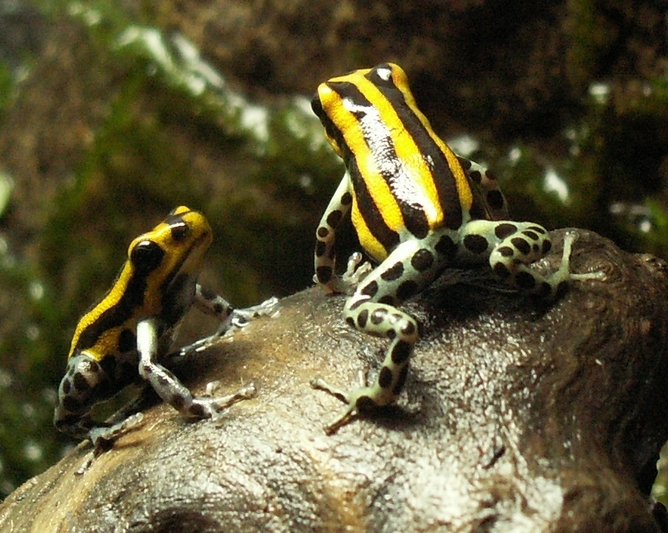 In Peruvian poison frogs, the male carefully carries his tadpoles to a water pool. There, he monitors their progress for months: every week or so the watchful male calls to the female, who comes and deposits special nutritional eggs into the pool for the tadpoles to eat. But in most cases, fathers are conspicuous by their absence – deserting the female as soon as they can. Why so callous? To begin with, super-cheap sperm means the most successful males can potentially have unlimited offspring – if the species’ ecology allows it. This can even hold true for humans. The Sultan Moulay Ismail of Morocco, for example, may have had more than 1,000 children (compare that to the women’s record, a nevertheless astonishing 69). But because it takes two to create a baby, the fact that some males can be extremely successful means that others get nothing (Ismail’s citadel must have been full of childless men). Today we think of ourselves as monogamous, but there are often still more childless men than women. For those male animals that are more successful, caring interferes with a winner’s strategy of pursuing mating. So in evolutionary terms males need a very, very good reason to care for offspring, or they will always do better seeking mates. Yet, in some species, males do all the care, with females contributing little apart from eggs. 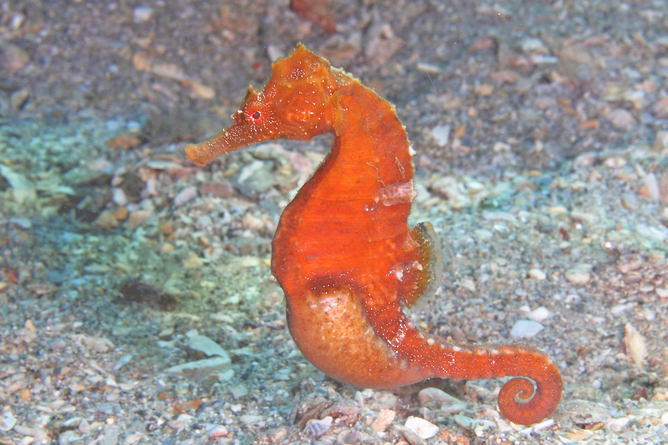 Although fairly common in egg-laying fish, male seahorses have taken it to extremes – they have a placenta and give birth to live young. Male rheas sit for weeks on a pile of up to 80 eggs, while male brushturkeys carefully tend piles of fermenting leaves so that the heat can incubate their eggs. In weird “sea spiders”, males tend eggs in all 1,300-odd species. Sometimes males have no choice but to care. Some males have to “mate-guard” females against rival males, right up until egg-laying – whereupon the female can run away leaving the male holding the babies. In others, like kiwis, females produce huge offspring and exhaust themselves, leaving males little option but to care. In Neanthes worms, before caring, the male resourcefully eats the female. Occasionally, as in jacanas, males greatly outnumber females, who can therefore get away with dumping males with offspring. 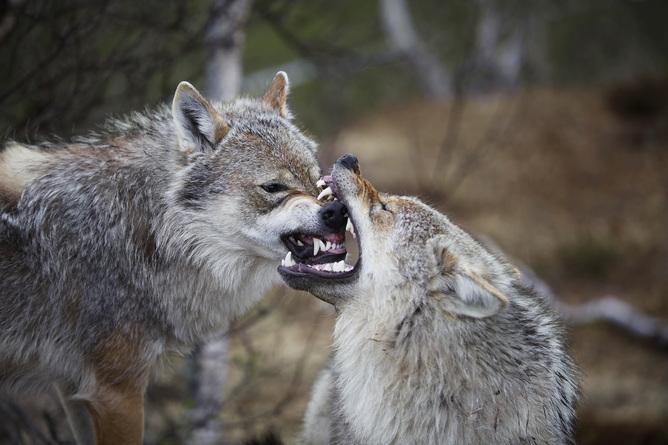 These males are unlikely to secure another mate, so their best option is to care. But many of these “superdads” do some pretty cold calculus. Single dads are most likely to evolve where they still can mate while caring, and where care is cheap (like standing guard as opposed to feeding young). In territorial species like rheas and egg-laying fish, males with good territories guard clutches from many females. Or they make sure to seal the deal on their paternity. A male giant water bug carries only one female’s eggs on his back – but he makes the female mate several times while laying eggs. 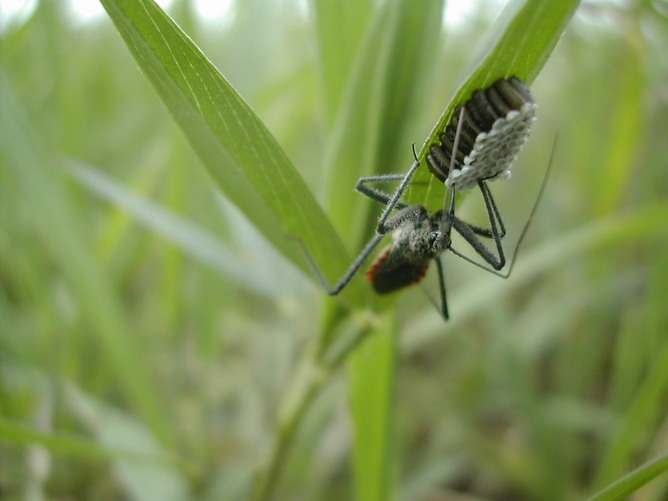 In assassin bugs, males also accumulate eggs from many females, like rheas. But care is hungry work for these predators. They have a dark solution: to maintain body weight, they eat some of their own eggs. 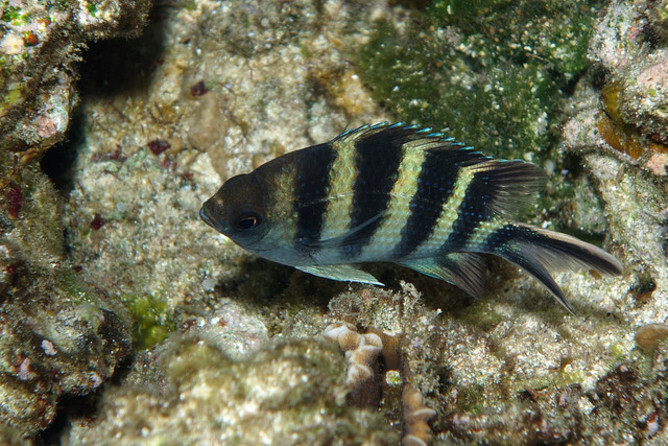 Male scissortail sergeant fish make an even more straightforward calculation. If the brood is too small, they cannibalise the entire brood and search for another mate. Makes sense – without a parent, the babies are doomed, so why waste them? Where do human fathers fit? They don’t habitually eat offspring, nor do they accumulate piles of babies from many women. As always, there is a lot of variation. Some are not involved, like the male chimpanzees to whom we are most closely related. But many enjoy a long and satisfying fatherhood, both teaching and learning from their children. These men may be more like wolf fathers – who provide food for their partner while she is pregnant and for their cubs once weaned; they also critically provide behavioural input in terms of play, and act as a role model. Most likely, this has evolved because such learning and experience are vital to offspring success in both species. As a new dad myself, this father’s day, I am thankful I belong to a species where fathers can make a valuable contribution to their offspring’s lives beyond mere genetics. James Gilbert is Lecturer in Zoology at University of Hull.